5 by 7 watercolor on paper, "Eye of The Tiger"
Thank you for all of the wonderful comments on the 30 painting challenge. Sorry I have not responded to many, having a hard time keeping up with all of this painting! I think February will be read and respond on my blog month :) Thank you so much for your support, it really helps me so much. And we are almost to the end, although I may need one extra day to complete them. Be back soon. 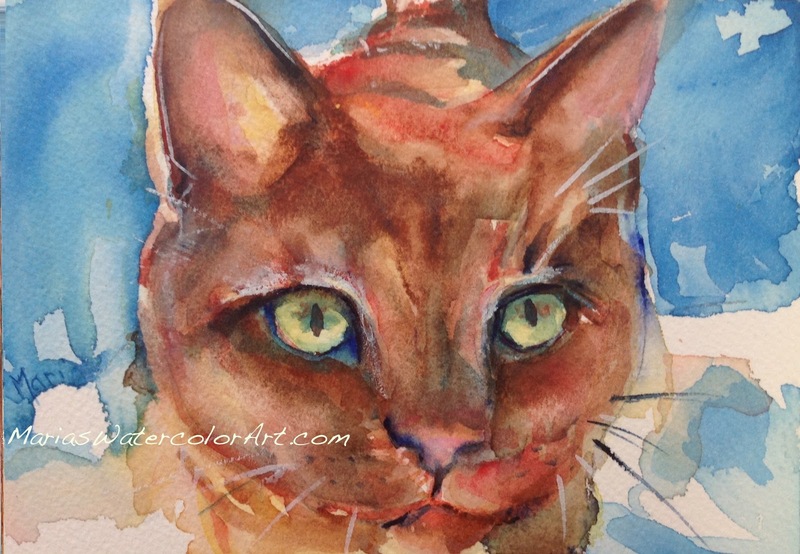 I painting with cats in watercolor. Your work is beautiful and you captured the cat perfectly. This is one beautiful cat! I love its color and the intensity of its eyes!